New World Vines Make Old World Wines. After over 30 years of working traditional occupations, we decided to try something new! Take a moment to unwind, relax and share our dream with us. Crooked Post Winery at Lake Perry is a unique Kansas Winery inspired by Italian architecture and style of wine. The Vineyard has 3,700 vines and the Winery has 1,500 vines. Our wine is made true to the flavor of the grape it comes from, crafted by hand, and not manipulated to taste like any other wine. 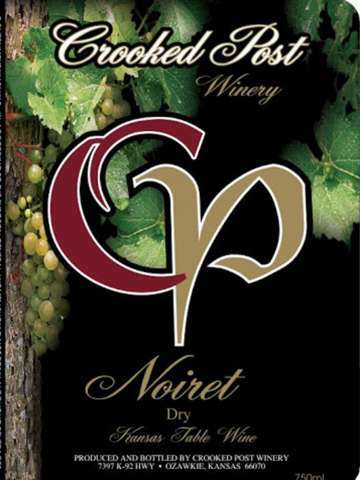 We use our own grown French-American hybrid grapes that are suitable for the Kansas climate in all our wines. We do not spray for insects and use as little as possible any chemical compound both in the wine making and grape growing process. Wood-fire brick oven pizzas, live music and special events, shopping and more. View upcoming events and subscribe to our mailing list. Cheers! We grow Hybrid Wine Grapes that are bred to grow well in the Kansas Midwest Region and survive the extreme heat and cold to make high quality wine. 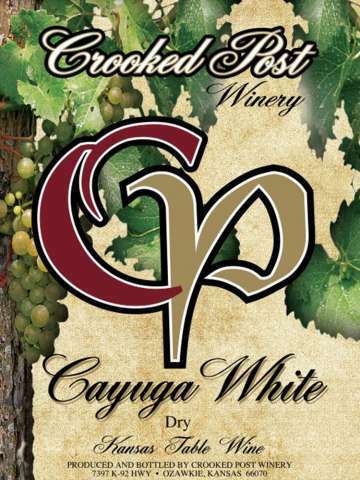 We presently have Traminette, Seyval Blanc, Noiret, Cayuga White, Valvin Muscat, Concord, Vignoles, St. Vincent, Cabernet Franc and Edelweiss. 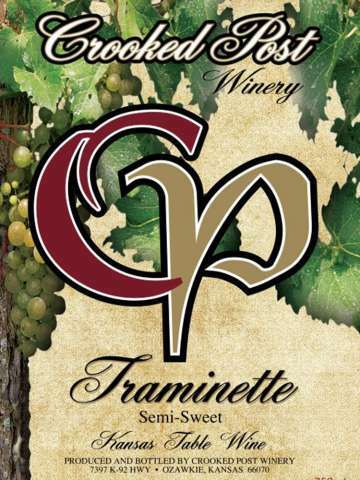 After five years of selling our pesticide free and hand picked grapes to Kansas wineries in our area to promote Kansas Travel & Tourism, we opened up our own Kansas Winery in the spring of 2014. Our 3,600 square feet Italian-style building built in the summer of 2013 near Lake Perry has a tasting room and large event room that we use for special dinners, events and first and foremost, for our customers who want to stay awhile. Harvest parties start in mid-August to late September with lunch, wine tasting, tours and help with the crush. 31 May Fifth Friday for Furr-Babies! 25 May Music with EZ Pieces! 04 May Derby Day with Cleveland Blue! 28 Apr Music – “EDDJ” – 4-6PM 20 Apr Earth Day Celebration! Be Good to our Earth! 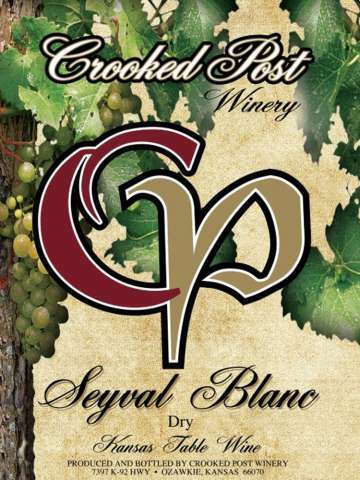 Enjoy Crooked Post wines at select bars, restaurants and liquor stores. Click for a list of places. We are proud to support a number of charities and causes. Please take a moment to see the sweetness of giving back. Harvest runs from August to September each year. Join us as we pick the vines, crush the grapes and start to see the juice turned into wine. Cheers! We'd love to hear from you.